Nepal is banning solo trekking? Is it true Nepal is banning solo trekking? No, it is not. I should say – it is not yet. But it seems tour agencies in Nepal are working hard to make hikers to pay more additional fees for their services. Two years ago TIMS card fee was introduced and now Trekking Agencies Association of Nepal (TAAN) want to force hikers to hire porters or guides no matter you need it or not. In July TAAN announced about mandatory support staff (porter or guide) for all tourists traveling to any trekking destination In Nepal from September. Trekking Agencies Association of Nepal has welcomed the decision and urged the government to include the decision in the Tourism Act for effective implementation. “The decision will help promote Nepal as a safe destination for tourists at a time when international media are questioning the safety of foreigners in Nepal,” Mohan Lamsal, general secretary of TAAN, said. Of course they welcomed it, but they forgot it can be against them, as a lot of people already are thinking are they really want to go to Nepal to see Himalayas? May be instead to choose much cheaper Ladak region in India? The reason for such rules? In last years it was couple assaults against young women in Langtang National Park with latest this June. But I doubt the guides or porters can prevent such accidents. It always was hard to find good guide/porter in Nepal as the quality of guides and porters, even those who are TAAN registered, varies enormously. What will happen if it would become mandatory? It will be chaos and bad guides/porters will ruin all trekking business and it definitely won’t make trekking more secure. Even the best guide is not able to watch everybody as even in the small group people are hiking 100s meters apart and nobody can’t see what is happening around the corner. So I am sure the safety is not the first thing TAAN members are thinking when they pressuring the Nepali authorities to make these changes. According to trekking operators, the new policy change will increase budget of FITs(Free Independent Travellers) by only around $10 per day. Are they kidding? The porters hire price starts from $10. They forgot about food, transportation, agency tax. It will be at least double that. So hiker no should add (minimum) additional $100 for their weekly budget. It good I double checked the information posted on TAAN website and found discussion in one of Lonely planet forums. Apparently all these announcements about mandatory guides/porter were only rumors spread by TAAN. I thought it is trusty body, but I won’t trust the information on their website without confirmation from other sources anymore. Thought they posted about government decision to put the ban of solo trekking on hold. Increased crime, if this is the cause, then it is highly necessary to ban the independent trekking, Good decision. 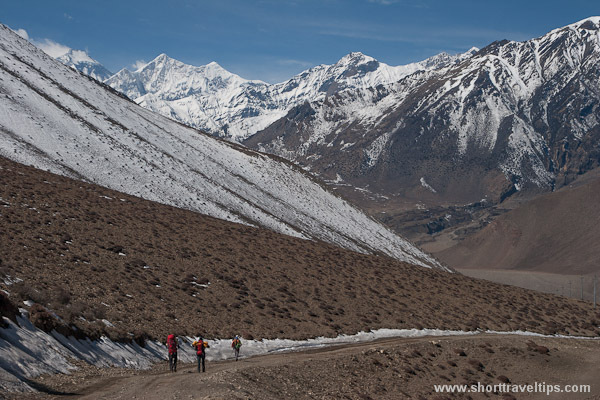 Not only increased in crime, but solo trekkers get lost in the Himalayas. Some are still missing. So that is a good decision. We should respect mountains and also most importantly trekkers. sorry Rajan, but all I can see here – it is just business and nothing to do with safety. I know people who hired porters and later in the mountains they were left alone because porters demanded more money.